In my recent post, Amazon Releases Amazon Advertising, I mentioned an app I use called Machete. I promised to expand on that in a future post (i.e. this one). 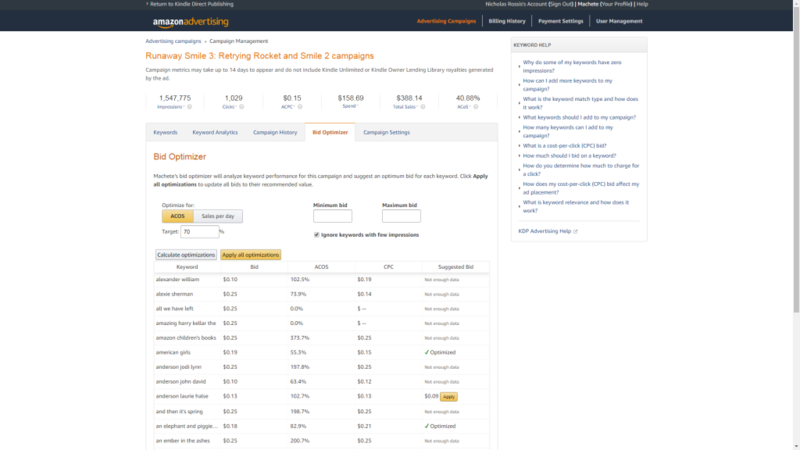 Machete is an Amazon Advertising (formerly Amazon Marketing Services or AMS) add-on. You install it on your browser and it transparently adds some extra features to your Amazon Dashboard. When I first used it, Machete was little more than a way to track your sales through time and edit multiple keywords at once. Not a game-changer, just some nifty little extras. At $25/month, it wasn’t worth it unless you were constantly tweaking your Ads, which is why I’ve never mentioned it before. Recently, however, Machete has made two dramatic changes which have led me to this post. 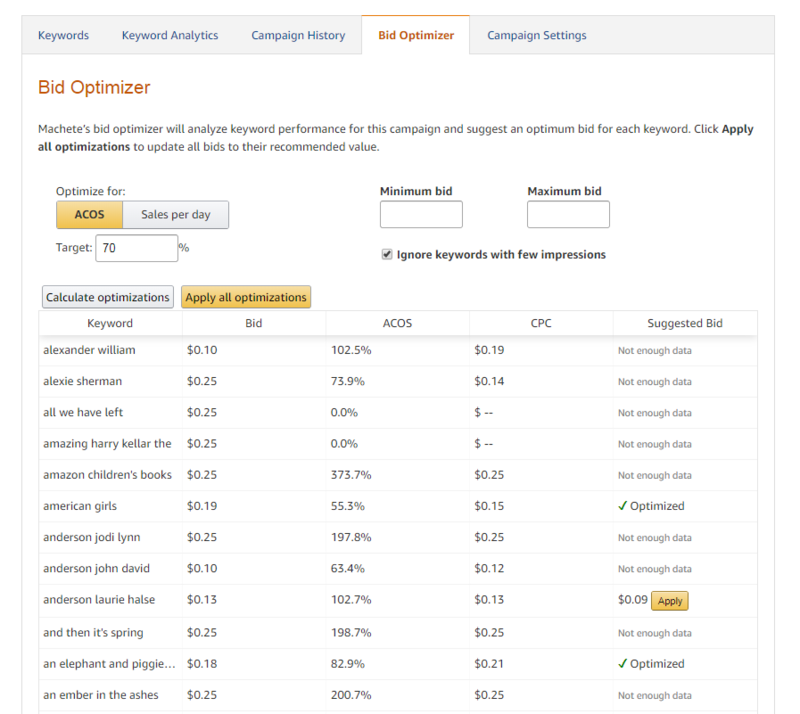 The first one was to introduce a great new feature called Bid Optimizer.